Let me share with you the power of Twitter. By searching on Twitter, I can find posts and tweets on any topic regarding any element of technology and education and pedagogy available in modern thinking, instead of going to Google. When I search for a concept or subject on Twitter, I can isolate resources from my peers in one list with all of the websites embedded in the tweets. (This is crowdsourcing at its best – I don’t have to spend valuable time sifting through stuff I don’t need or want.) I don’t have to tweet or post anything myself to be able to access great insight from others on best practices for my students on any topic under the sun. In no time you’ll be getting comfortable with searching concepts in Twitter and will be ready to do your first post. All you have to do is figure out how to say what you want in 140 characters max. (If you tell the friends you find on Twitter and follow that you are new to Twitter, they will celebrate your newness!) Once you learn the nuances of following and hashtags for conversation threads, you can go all kinds of places. 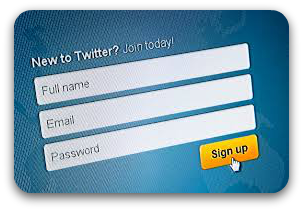 Easily getting the resources you want and need for your classroom on Twitter makes it well worth having an account.